As some of you are aware, I’ve been up in Newcastle for the past month for a work course. While I was there, I made the most of having a whole host of new places to explore on my doorstep in the rare moments of free time that I had. On one such occasion, my Nana and I decided to try George’s Great British Kitchen in Newcastle. This place was recommended to me a little while ago but I haven’t really had a chance to go until now. However, we had such a lovely time that I hope we will get a chance to go back soon. 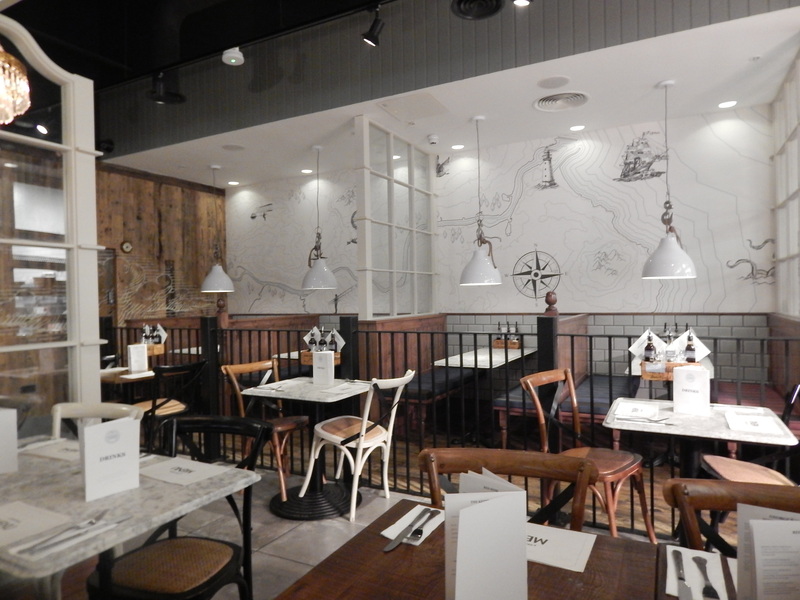 They seriously had the cutest decor and the staff were so friendly – it made for a fantastic evening. The food itself is every bit as praise worthy. We had main courses and desserts, leaving George’s very full but very content. 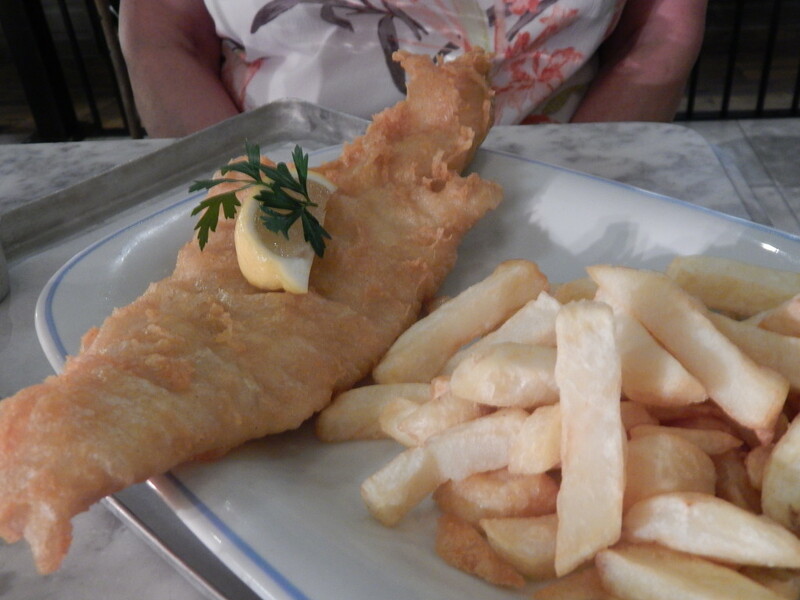 My nana chose the fish and chips, which she had plenty of good things to say about. I tried the fish and it was lush! I was feeling a little bit adventurous so I decided to try the English Breakfast pie. I had never had this before but after looking at the menu, I have to say I was intrigued. 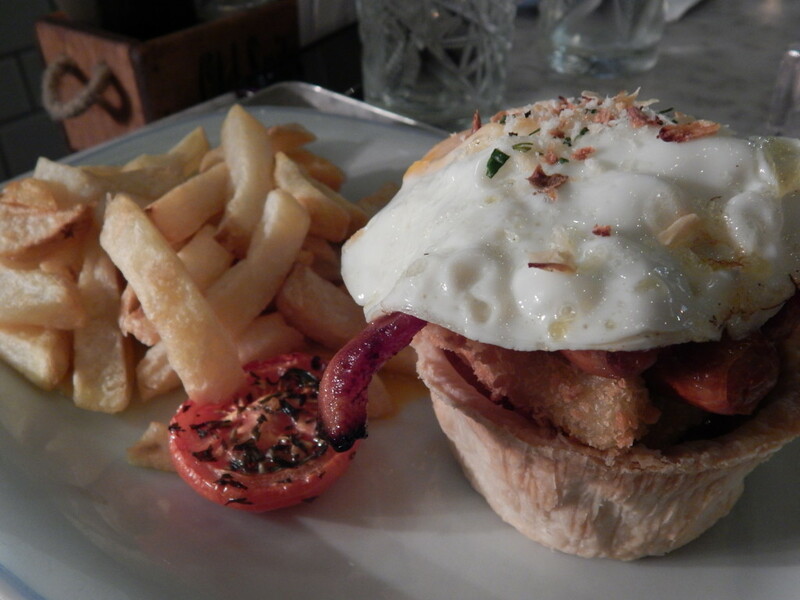 There were beans, croquettes, sausage and bacon in my pie, all of which was topped by a fried egg. As unusual as it was, I have to say it was really, really good! Somehow, we still had room left for dessert so had a quick look at the menu. 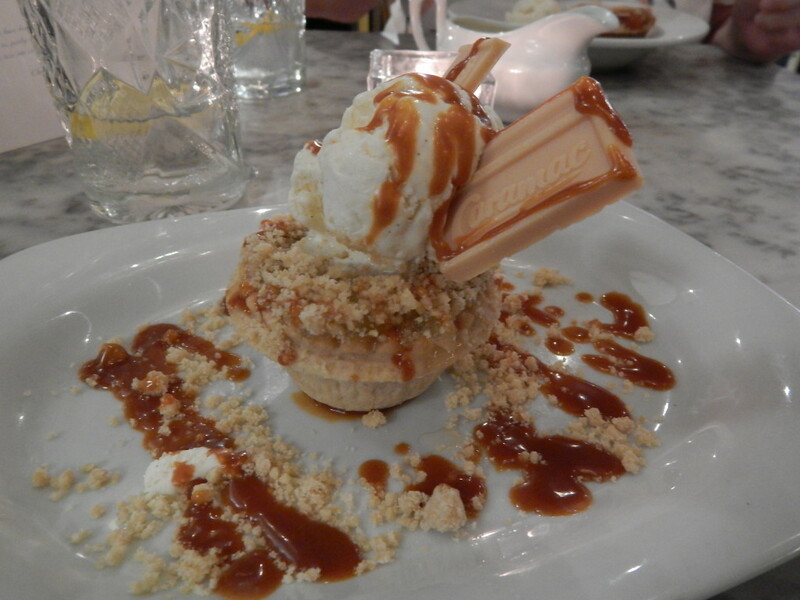 We instantly decided that we needed a sweet course, with my nana choosing a thick slice of Bakewell tart while I went for an Apple and Caramac crumble. 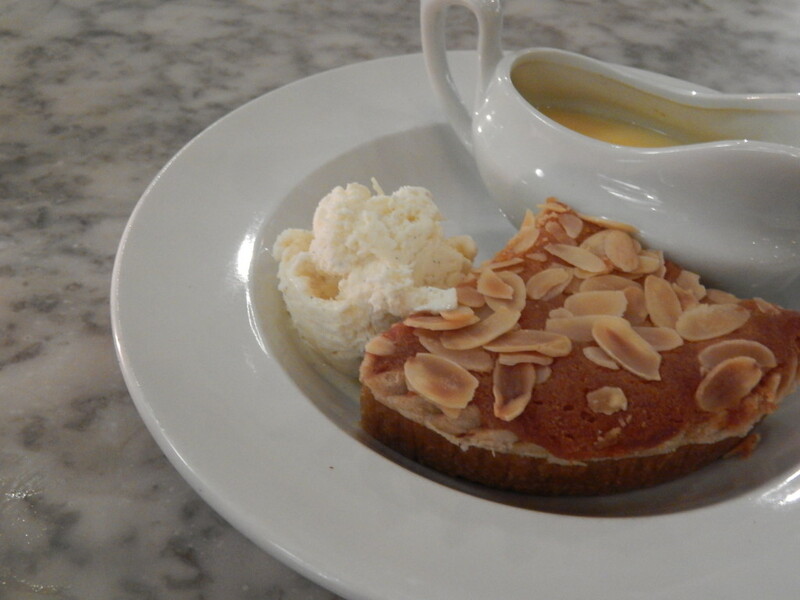 Both were gorgeous – the people at George’s Great British Kitchen clearly know their puddings, let me tell you! 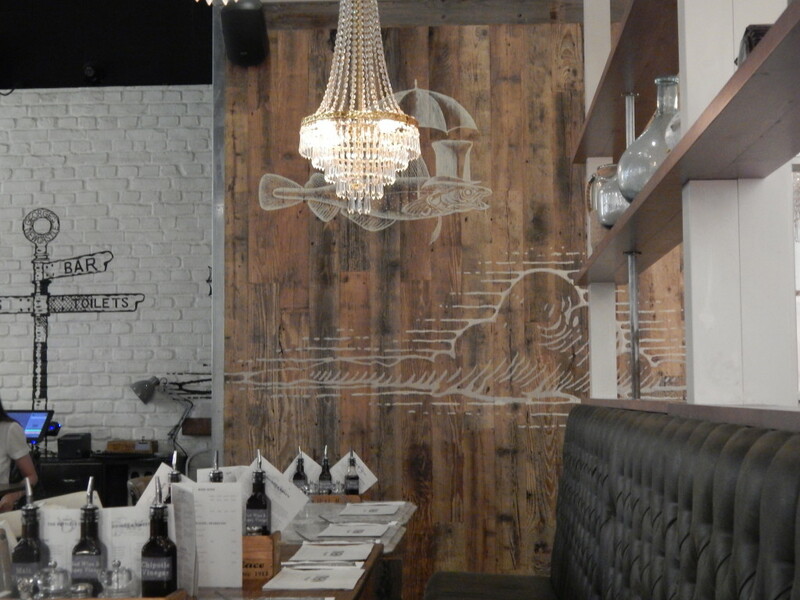 We certainly left George’s with a very full stomach but with a massive smile on our faces!